In July 2017, the Thunder Basin Grasslands Prairie Ecosystem Association (TBGPEA), along with the U.S. Fish and Wildlife Service, U.S. Forest Service, and other partners, celebrated the finalization of a conservation strategy balancing the needs of local wildlife, people, energy, and agriculture across 13.2 million acres in Wyoming. Last week, the Office of Surface Mining Reclamation and Enforcement recognized these efforts by awarding TBGPEA and five participating coal companies with the “Good Neighbor Award.” It marks the first time five coal companies were awarded together for their collaborative efforts in a community, and the first time a conservation association has received this award recognition. 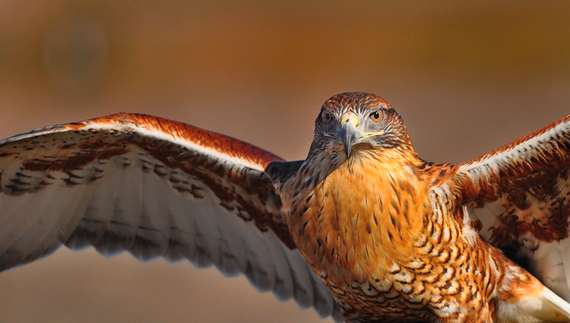 The conservation strategy will support continued economic growth, while benefitting many at-risk western wildlife on public and private lands, including: black-tailed prairie dogs, burrowing owls, ferruginous hawks, greater sage-grouse, and sagebrush sparrows. Congratulations to our conservation partners in the Thunder Basin! Watch this video to learn more. Three native Rio Grande fish species are once again thriving in southern Colorado, thanks to teamwork between the U.S. Fish and Wildlife Service and Colorado Parks and Wildlife. The Rio Grande cutthroat trout, Rio Grande sucker, and Rio Grande chub are just the latest species to benefit from collaborative conservation projects and partnerships in Colorado. These efforts are sustaining native fish populations on both private and public lands, including: Medano Creek, which runs through Great Sand Dunes National Park; Trinchera Ranch, the largest private land holding in Colorado; and Baca National Wildlife Refuge. Installing new fish-friendly culverts and removing non-native fish help the native populations, while PIT tagging allows biologists to track individual fish over time. Improved habitat and additional fish passages also encourage movement for previously isolated native fish populations. 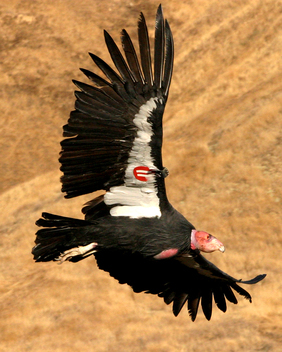 There were only 23 California condors remaining in 1982. Today, over 400 condors are living in the wild and captivity. The California condor can weigh up to 25 pounds and boasts an impressive 9.5-foot wingspan. This large, rare bird eats large mammal carcasses, such as deer, cattle, seals, and whales. It used to live across much of the United States, but wild populations are currently found only in parts of California, Arizona, Utah, and Mexico. Continued threats to the condor’s survival in the wild include habitat modification, lead contamination, and ingestion of microtrash, such as tiny pieces of plastic, glass, and metal.